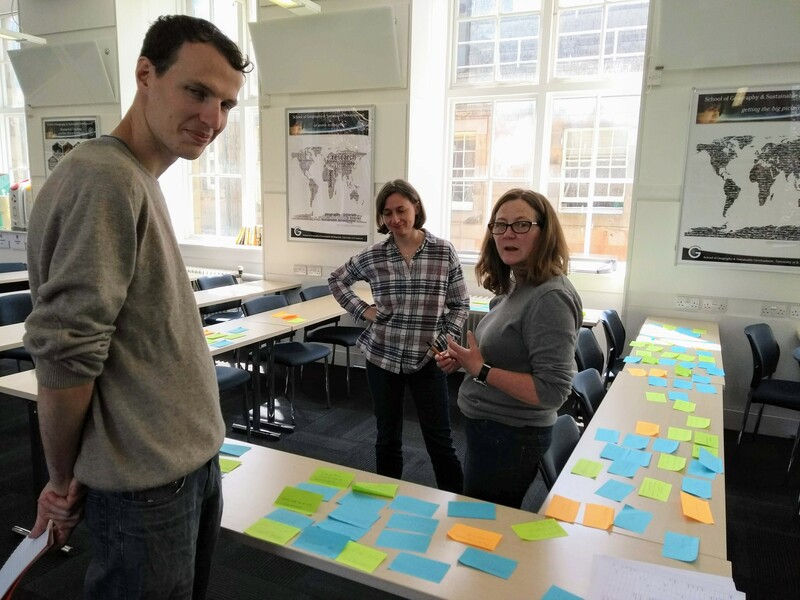 Christopher, Nina, Katy and Ian spent an interesting few hours surrounded by post-it notes, thinking through how to ‘code’ (analyse) the 51 interview transcripts, amounting to something like 150,000 words, generated by our SFC-ODA project on valuing peatlands in Amazonian Peru. Many interesting themes emerged – not least the myths, legends and superstitions that surround wetland environments in Peru – just as they do in the UK. We are also interested in themes such as resource use, sustainability, and gender issues.